By default, a sudo command requires you to enter a password before it can run. 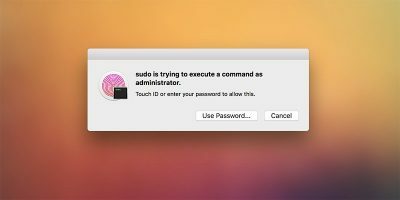 If you are using a Mac with Touch ID, you can now configure it to authenticate sudo commands. If you’re using the Apple Notes app, you may want to protect your info from prying eyes. Here’s how to lock Apple notes with Touch ID and a password.